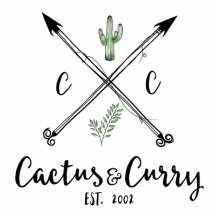 Ministers - Cactus and Curry - Get your bloom on! David and I both became born again believers as young children. However, life's circumstances had brought each of us through different trials and away from God while growing older. Due to living abroad and adult challenges in our relationship there were times of serious desperation, we both began to connect with God and faith in a way that had never been experienced before. It was the catalyst that proved to ignite the "real" transformation in our lives! After a divine appointment with a church in Arizona, David and I were trained up and ordained as Pastors and asked to start a church in Germany that focused on community, relationship and God's unwavering word. We have since moved to Mallorca, Spain but continue travel and evangelize every chance we get here and abroad.